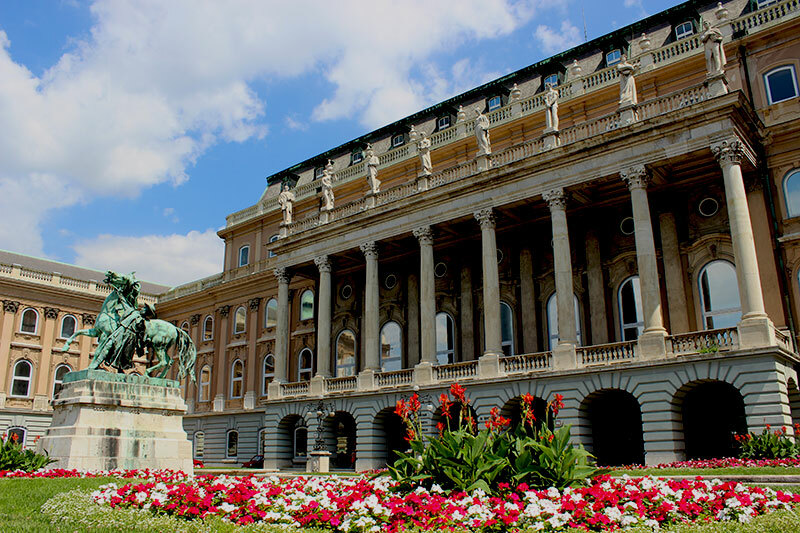 As day 1 in Budapest had been all about visiting the world famous Széchenyi Baths, taking in views along the riverside boulevard and indulging in the street night life, day 2 promised to be a little bit more sportive. 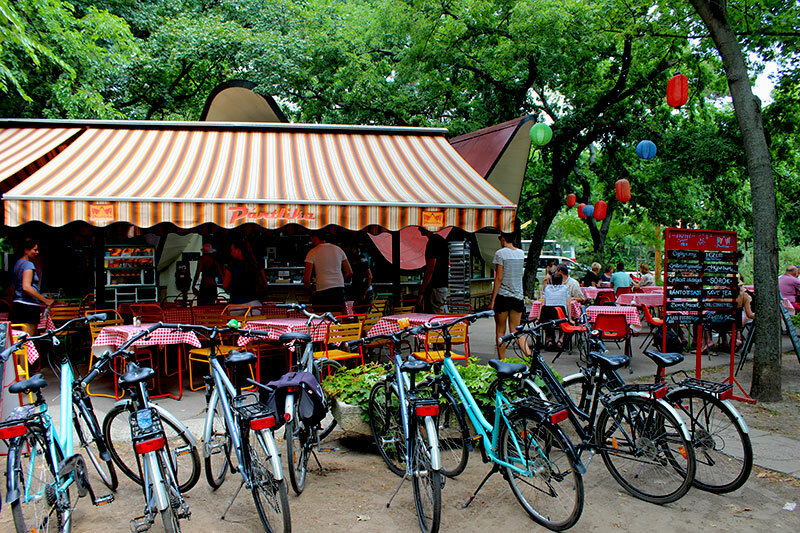 We were invited by Budapest Bike Breeze Tours to come along on their daily Wheels and Meals Bike Tour. So after breakfast at a local bakery, we made our way to the meeting point of the tour: the steps of the Lutheran Church right in the heart of the city. We didn’t have to wait long before our tour guide Anna showed up all happy and cheerful, making us all the more excited for the tour. Shortly after our initial meeting we walked towards the place the bikes were stored, which wasn’t more than two minutes from our meeting point. 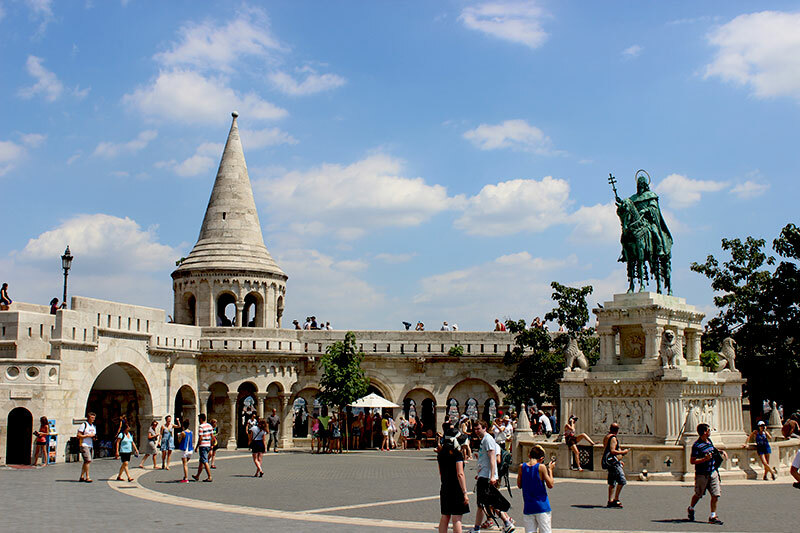 It was extremely hot that day and Anna had made the clever decision to cycle up the hill to Buda Castle first. Encouraging us by yelling phrases at us like: ‘’let’s go team! We’ve got this! We can do this!’’ we all got worked up and miraculously all made the top without a scratch on our bodies (please don’t make fun of us, it really was hot that day!). 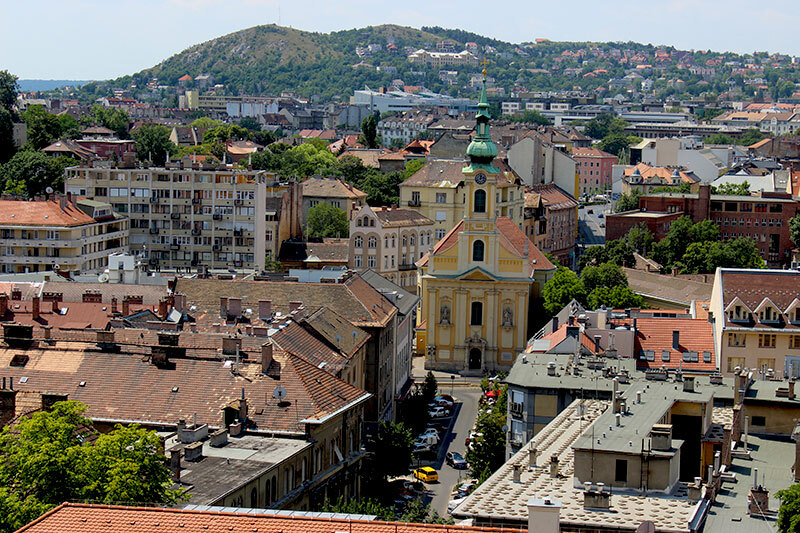 Buda Castle is an icon and the area itself somehow looks like a village in its own right. 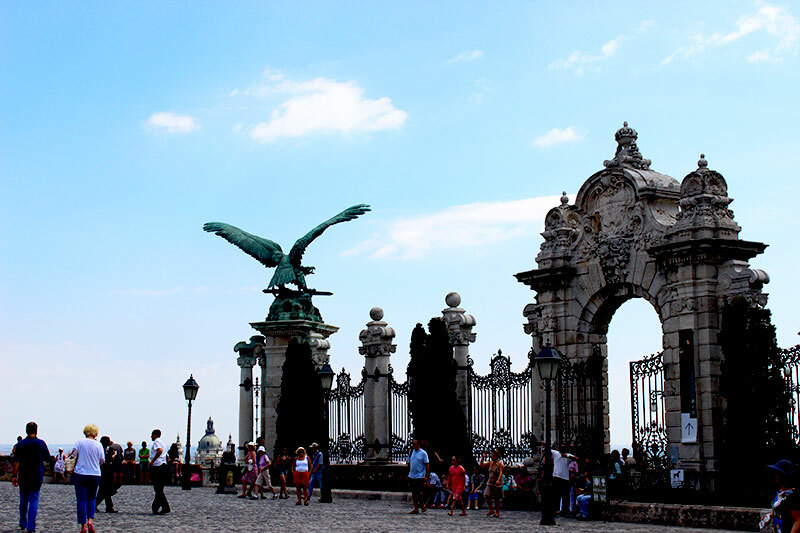 The castle itself, the Presidential Residence, museums, bars, restaurants, small cobbled streets… It’s its own community within a larger city. 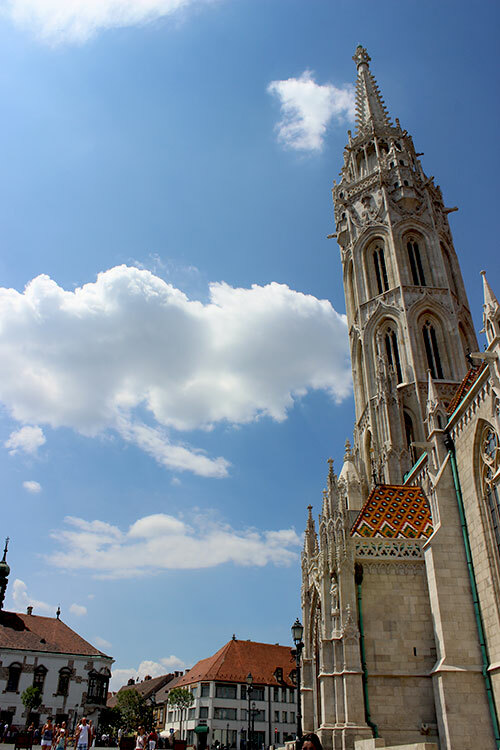 After we were given some minutes to look around and take photos of the splendid views, our guide took a folder out of her bicycle bag that included some images and photos of the history of Budapest. 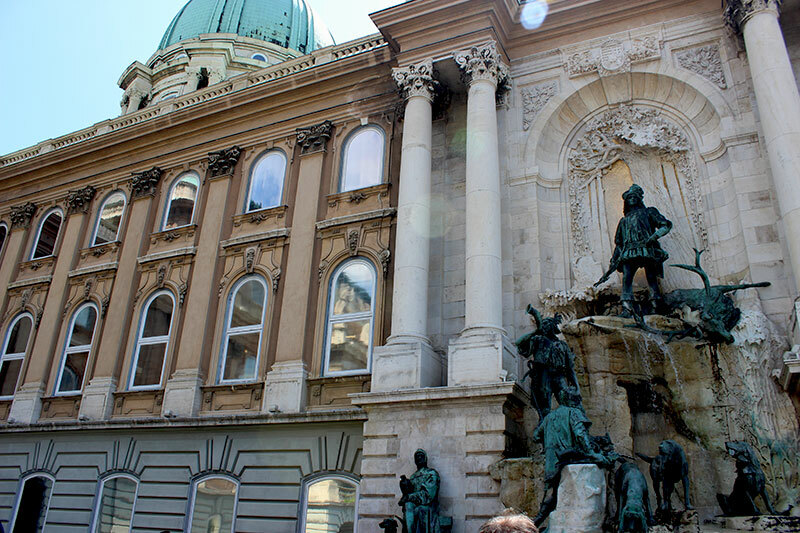 During the city tour, we often made a stop to drink some water. 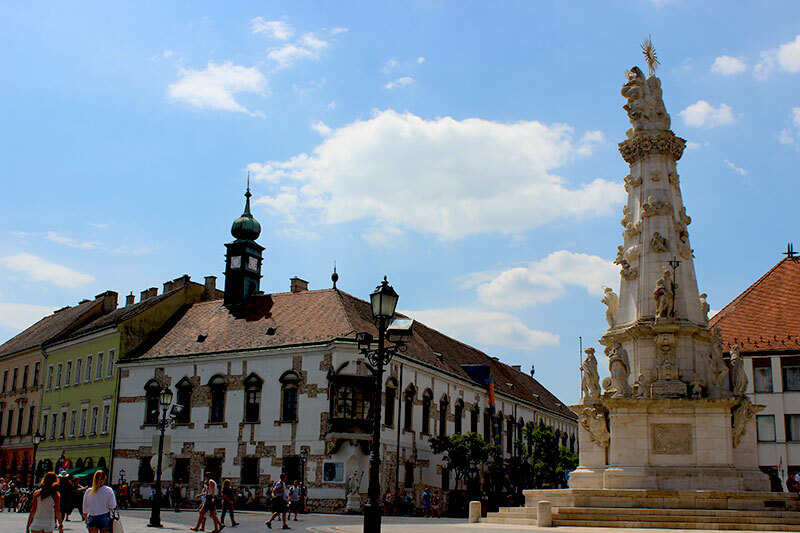 Sitting in the shadows of the trees or in the shadows of the richly decorated churches and palaces, Anna would tell us all about the brave knights defending their country from all the invaders who made life hard for the Hungarians. ‘History lessons’ is an understatement, as the stories that she told us didn’t feel like lessons at all. It were all true tales that gave a deeper understanding to our visit to this city and this country. It felt like a friend telling us captivating stories and we took all the info in eagerly. 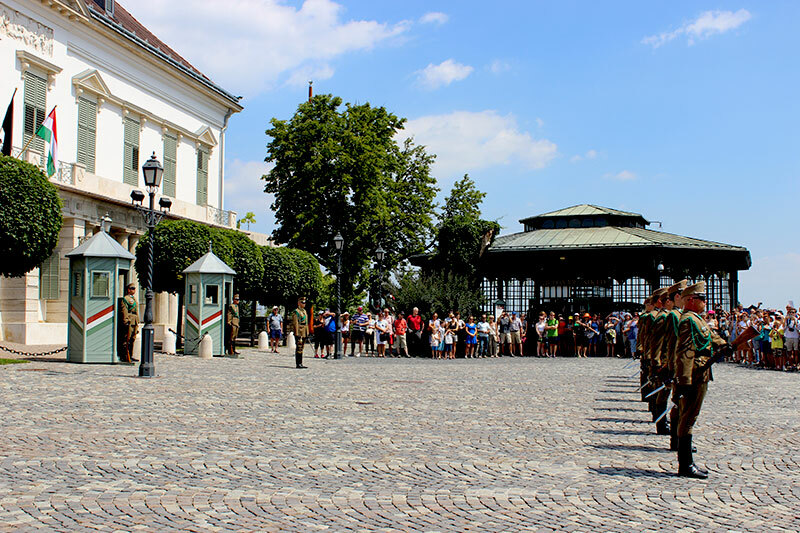 After our first ‘history lesson’ at the castle’s grounds, we cycled towards the Presidential Residence where we were right on time for the impressive Changing of the Guards: a true spectacle with a striking choreography, almost a dance really, of guards marching, a drum playing, and twirling and turning rifles. 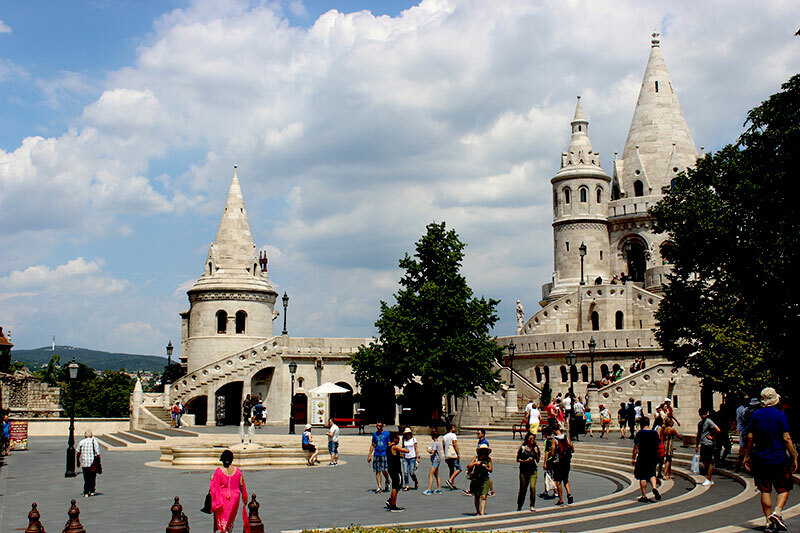 After having witnessed the Changing of the Guards, we continued our bike tour to Fishermen’s Bastion: the Disney-like towers gracing up the skyline at night. 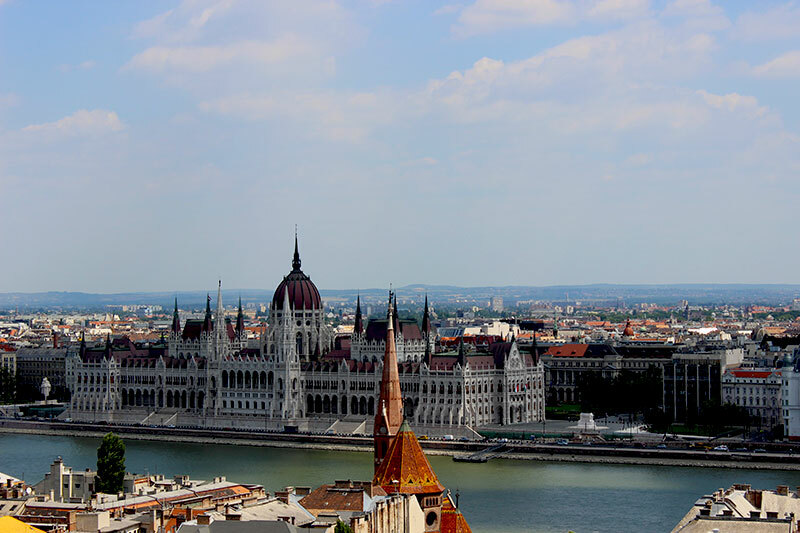 The views of the Parliament Building across the Danube were even more impressive from the bastion than they had been from the castle. 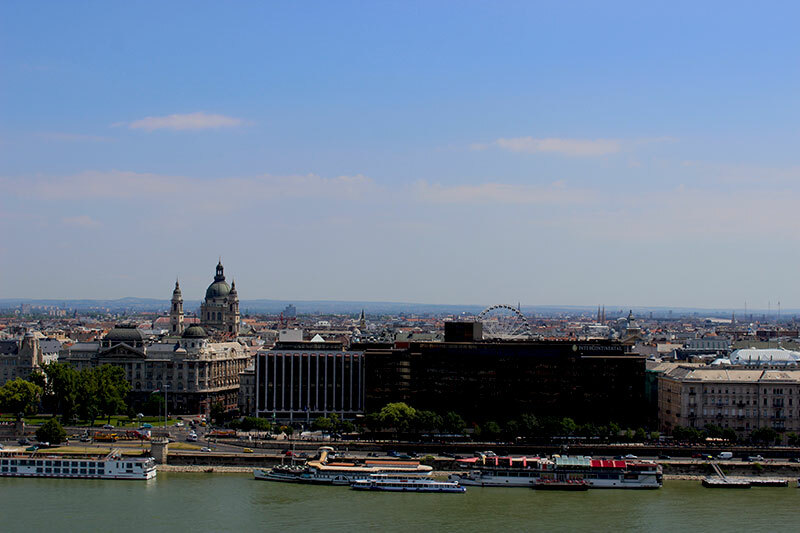 Then it was time to head back to Pest, on the other side of the river. Crossing and conquering the historic Chain Bridge (trying desperately not to bike into the pedestrians crossing the same bridge), we set off towards City Park, which my friend and I had visited the day before. 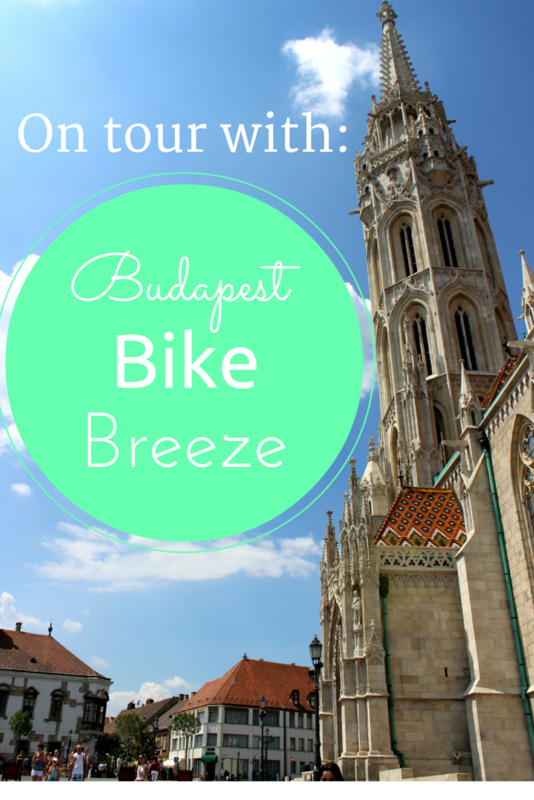 Cycling along the one and only Avenue of Budapest, I could finally feel where Breeze Bike Tours got its name from. Cycling in the shadow of the trees, we finally felt that breeze hitting us and we welcomed it with open arms. That long drive along the avenue was probably the most pleasant biking bit of the tour, passing the Opera House and some other beautiful buildings along the way. 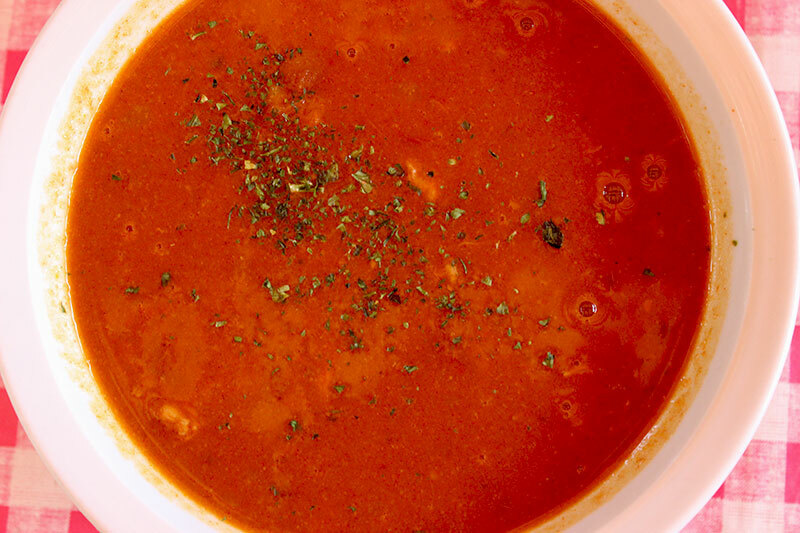 Once arrived in City Park, we made our way to the alfresco restaurant where we enjoyed some typical Hungarian goulash soup. We finally found some time to properly chat with the other members of the tour. 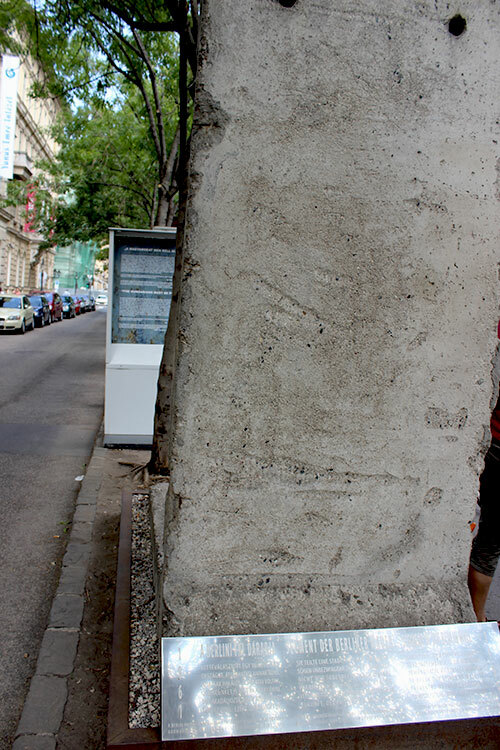 They all were around our age – early or mid- twenties – and from Australia, Germany and the Netherlands. I kind of caused the Dutch girl a heart attack when I suddenly spoke Dutch to her. I joined the tour together with a friend from Switzerland, and we spoke English with each other. The Dutch girl clearly didn’t expect me to be Dutch! A hilarious moment when she almost jumped into the air the moment I started speaking to her! After the wonderful lunch and getting to know one another better – it really started to feel like being among a group of friends, Anna included! 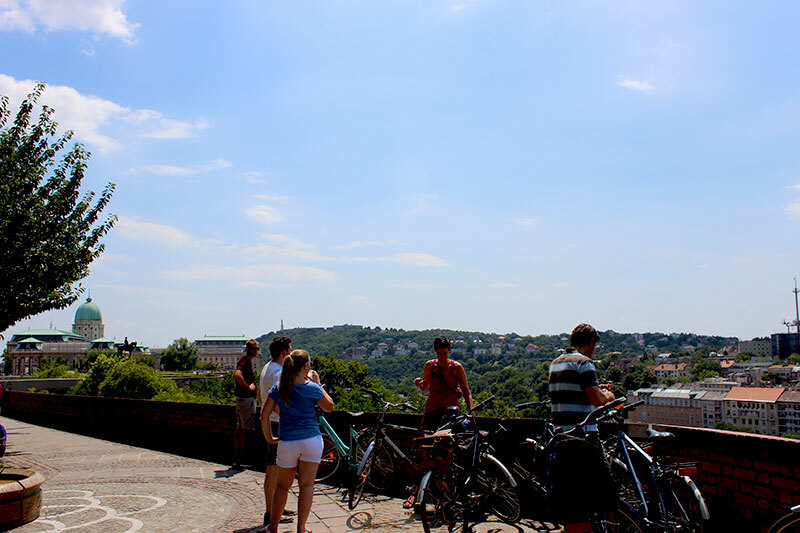 – we biked to the castle we had seen on day one, but didn’t get to explore. 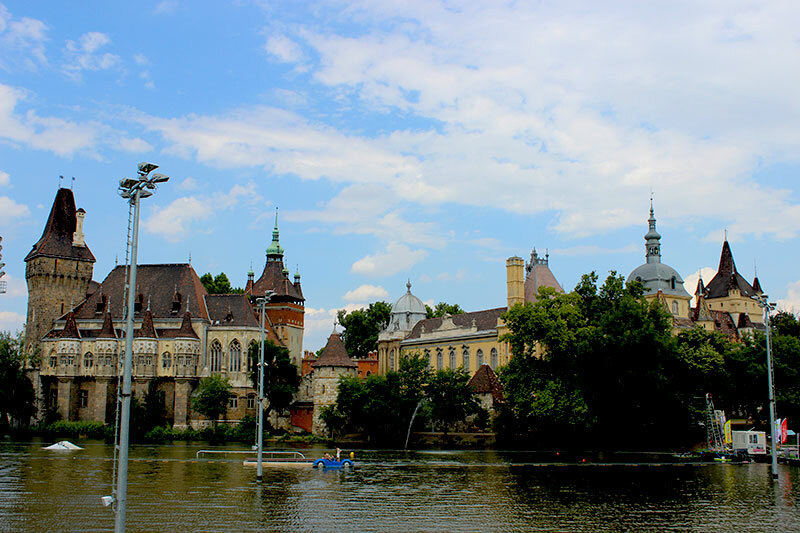 Now we did, and we were amazed by all the different architectural styles of Vajdahunyad Castle, as we learned the name was of this fairytale-like construction. 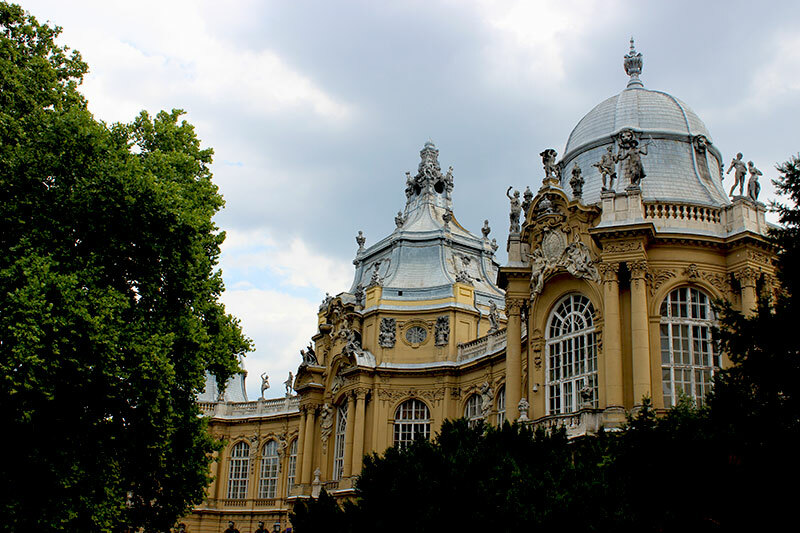 Built in 1896 for the Millennial Exhibition, it features copies of different buildings of the Kingdom of Hungary. 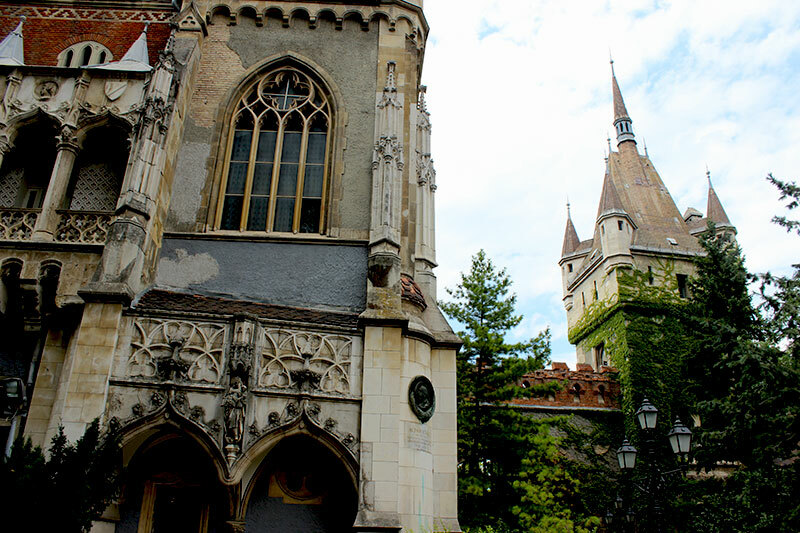 One of the buildings is the one and only copy of Hunyad Castle (now in Romania), better known as the home of Vlad the Impaler, who inspired Bram Stoker to create Castle Dracula. 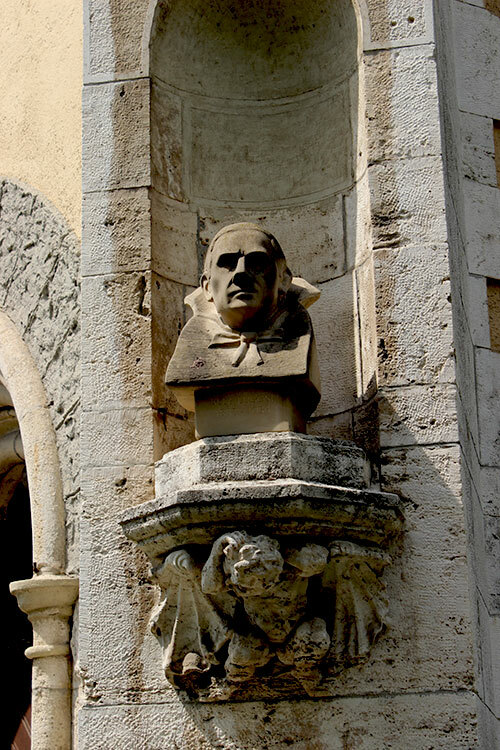 A little statue of Dracula is actually integrated within the castle’s walls. 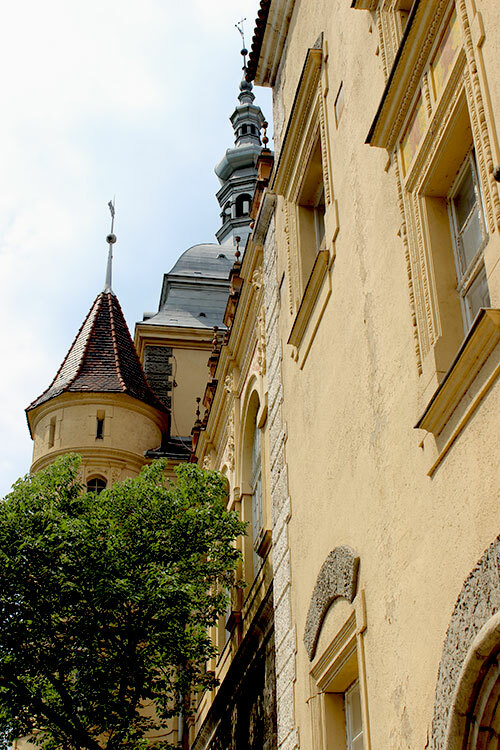 The visit to Vajdahunyad Castle also almost marked the end of our tour. 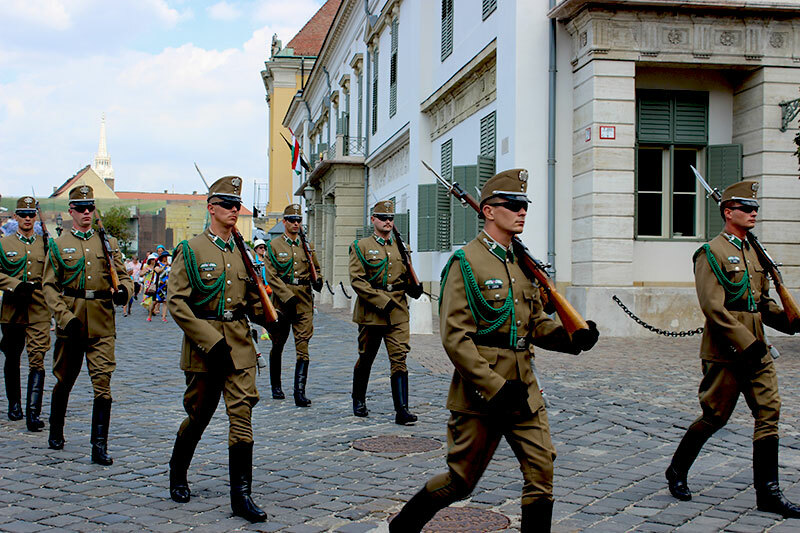 But not before we made a quick stop at the House of Terror, a museum and memorial of the fascist and communist dictatorial regimes in the 1900’s in Hungary. 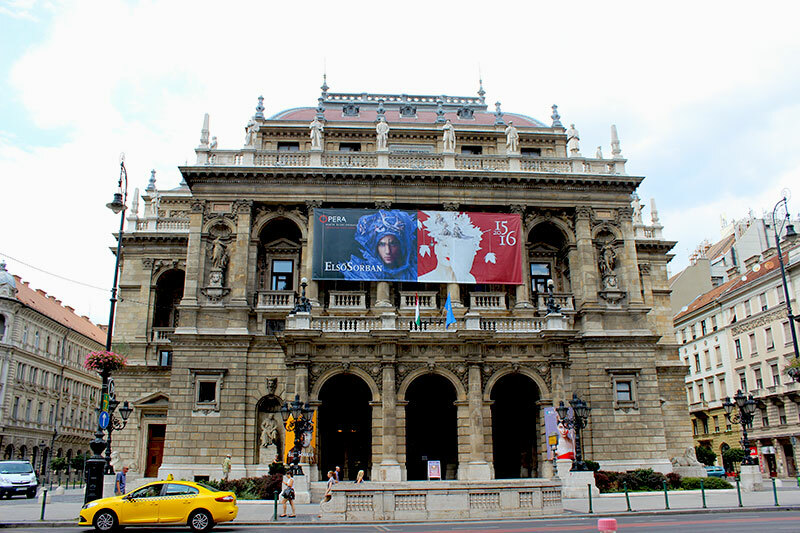 A museum we unfortunately couldn’t visit in the short amount of time we had in Budapest, but is definitely on the list for a future visit. Then it really was time to return the bikes to the storage place. The tour had almost taken 5 hours, but didn’t feel that long at all. 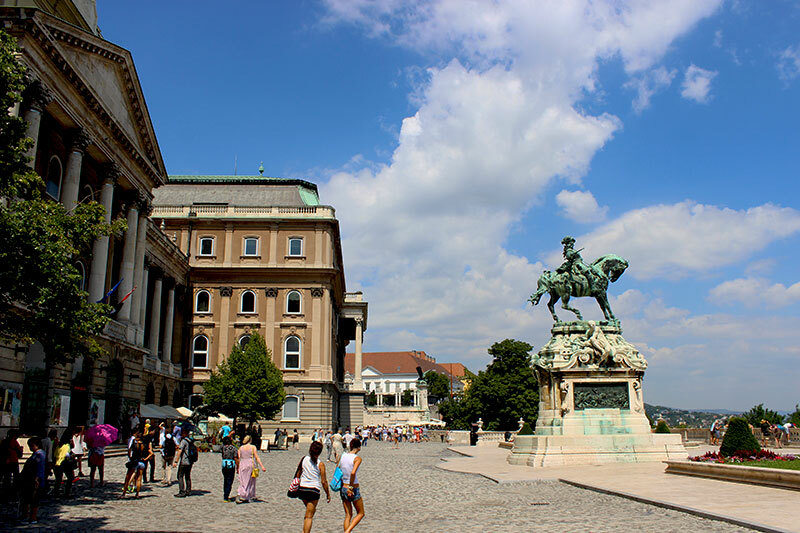 I was extremely glad we decided on joining, as we were able to see most of the highlights of Budapest in half a day. The layout of the city also became so much clearer to us, and the interesting tales Anna told us put everything in perspective. 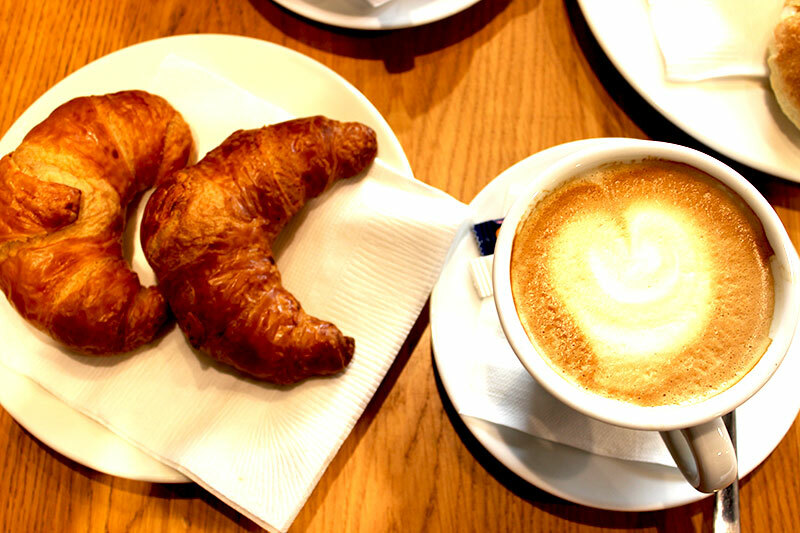 Want to know how we spent the rest of the day and the next morning? Come back to the blog later this week to find out! 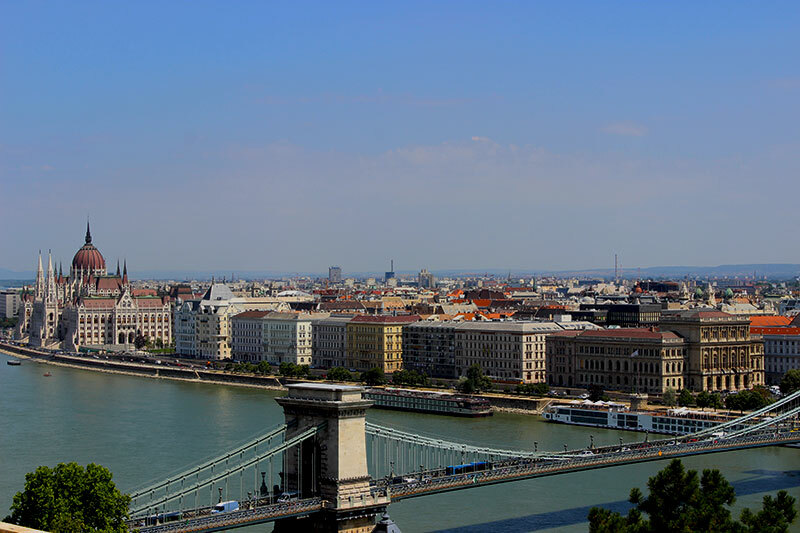 For more information about Budapest Bike Breeze and the tours they offer, please visit their website. 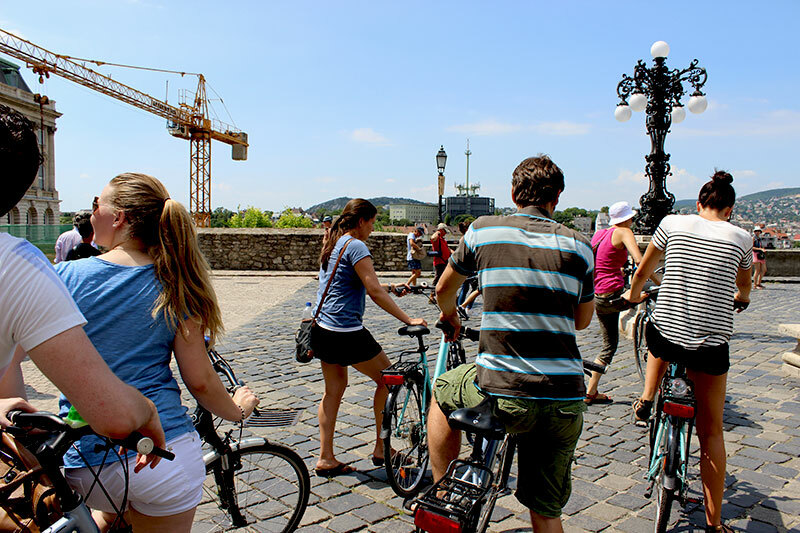 With only 48 Hours in Budapest, we decided on joining a bike tour organized by Budapest Bike Breeze. 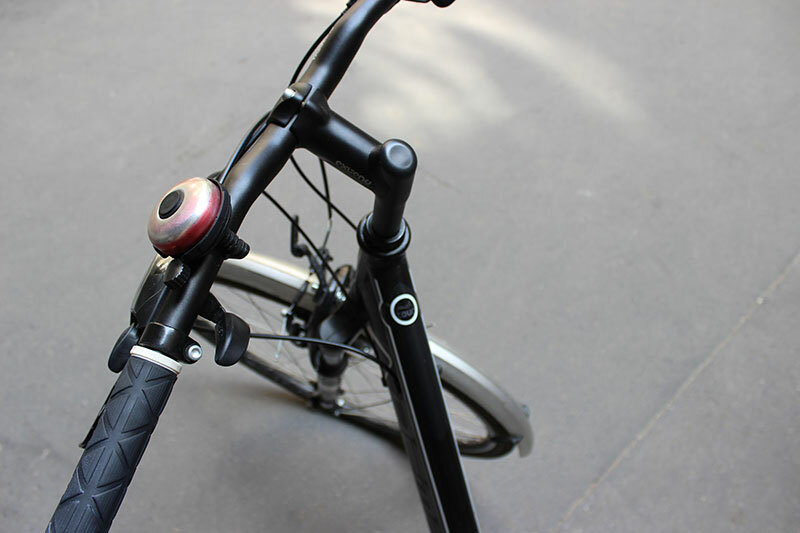 A great way to get to know the city!